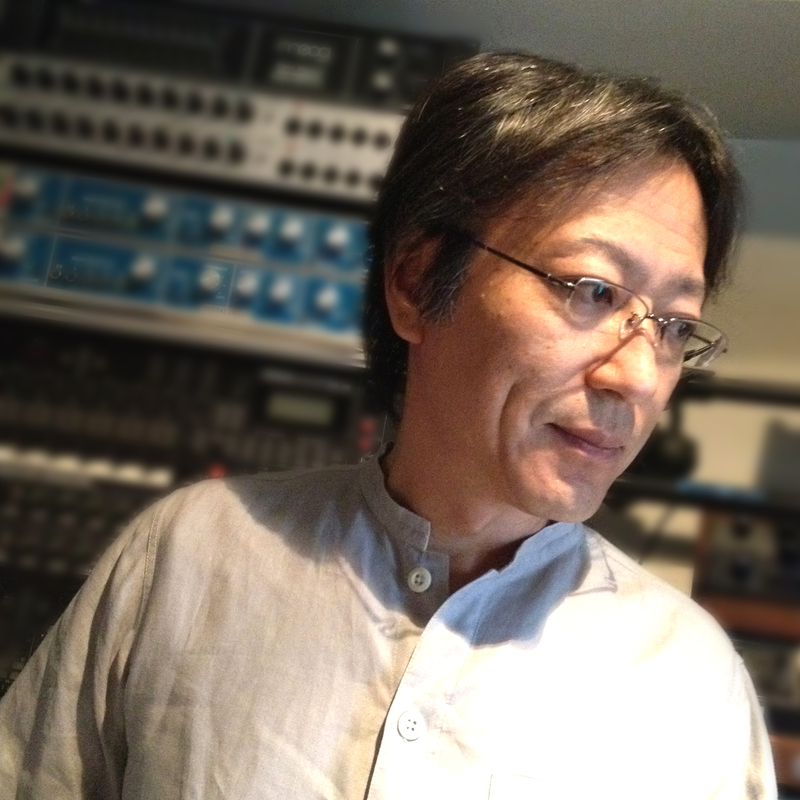 Hiroyuki Kawada is Namco’s longest-serving musical innovator. During his three decades at the company, he balanced work on classic properties (e.g. Galaga, Pac-Man, Xevious) with new properties (e.g. Ace Combat, Valkyrie, Time Crisis). For each title, he brought fresh styles and technical innovations. He was also responsible for bringing the series’ music to soundtracks, arranged albums, and even a theme park. He recently departed the company to work as a freelancer, but continues to collaborate with them on new projects, such as the recently released Pac-Man Championship Edition 2. 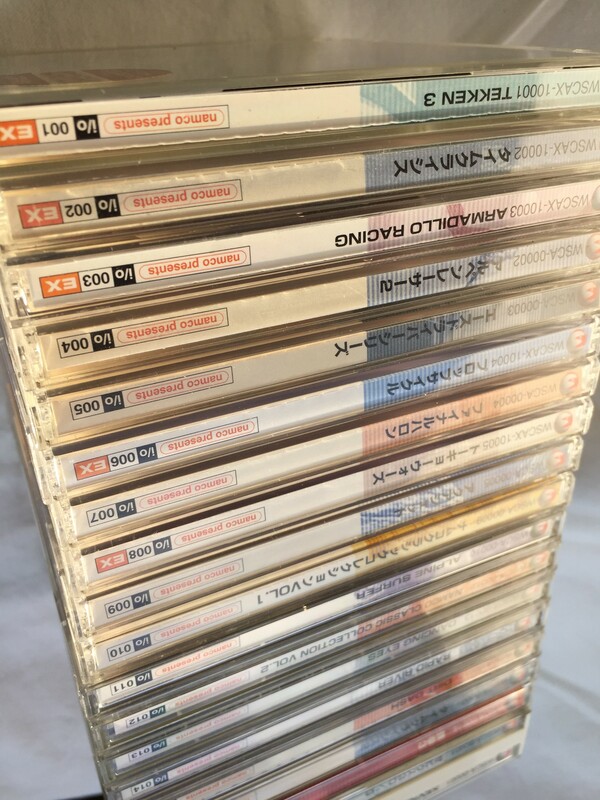 In this two-part interview, conducted with our Patreon supporter Stephen Burkett, Kawada gives an indepth insight into how he composed, implemented, and disseminated music for various Namco titles. In this second part of this interview, covering the years 1990 to present. Kawada discusses how he brought game music to CD through various soundtrack releases, arranged albums, and independent productions. He also discusses how he brought diverse and contemporary sounds to various new franchises, before reflecting on his latest projects and future plans. The first part can be read here. 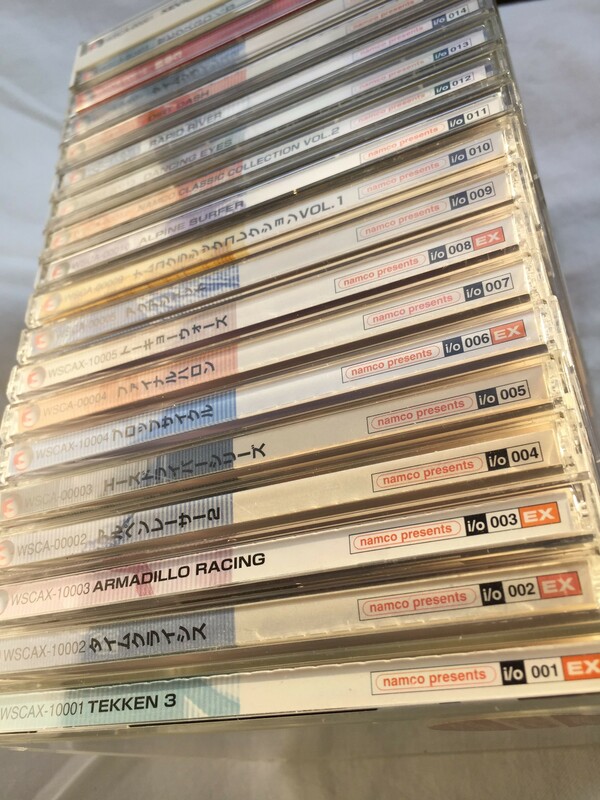 Stephen: Around the time you entered Namco, the company had already started to legitimise game music through pioneering scores such as Rally X and albums such as Video Game Music. Looking back, what progress had been made when you joined? Hiroyuki Kawada: Talking specifically about Japan for a minute, in 1984, when Haruomi Hosono released the album Video Game Music, making use of sound from Namco video games, young people who loved music started to pay more attention to the sound in video games. Right after I entered Namco and was still working in planning, I was fortunate enough to have the chance to visit the recording studio (LDK Studio) where The Return of Video Game Music (rel. 1985) was in production. It was my first chance to experience professional music production on-site. 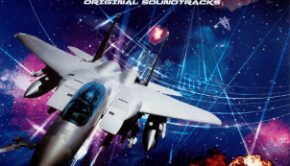 In the wake of the Video Game Music series, there were numerous albums of Namco game music from a number of companies including Alfa Records, Victor Entertainment, Scitron, Apollon, Pony Canyon, and Nippon Columbia. As the head of the sound department, I was involved with a variety of tasks including concept and deciding on the titles to be included, on-site production work, checking the printed text and the contents of advertising, and occasionally even art direction. For example, Victor Entertainment had the Video Game Graffiti series, where the concept was to include unique arrangements of music from numerous games (1986-1994, 11 albums in all), the Game Sound Express series, where they would release the music from the currently popular titles as quickly as could be reasonably done (1989-1995, 27 albums in all), and the Namcot Game A La Mode series, focusing on Famicom games (1986-1988, 2 albums), Pony Canyon had the Namco Soundtrack series on their i/o Label (1997-1998, 18 albums in all), where I was in total control of the design, including the CD-EXTRA functionality and the art direction in addition to the music, etc. The first album in the Video Game Express series, Valkyrie no Densetsu, was a huge success in terms of sales, winning a hit prize from its record company, and music like that from Yokai Dochuki would be used for TV show themes, so these many album releases probably played a role in raising the appeal of the genre for both game music fans and general listeners. In addition to soundtracks, I was involved in original albums such as Walküre Story FOR ORCHESTRA and Wonder Eggs second anniversary THE ELDS STORY OF…, extending the music based on the worlds of games and theme parks. These kinds of experiments were unusual in the industry at that time. A recent photo of Hiroyuki Kawada. Chris: Through such labels, all of your major scores have now been released on CD. Is it safe to assume this important to you? How do you prepare your music for CD releases? Hiroyuki Kawada: The release and distribution of game music CDs was a very important job for me. By listening to the background music on CD, a player could recall the events and the scenes within the game, the surprises and emotions felt, the sense of completion, and sometimes even the sense of defeat. To be able to enjoy the game once again in another form is a great joy for any fan. Even for people who didn’t play the game, the chance to have people enjoy it for the music alone is as much as anyone could ever ask for. There is not actually much effort involved in preparing to turn video game music into a CD album. Leaving aside circumstances involving specialized speaker systems, in most cases the process is limited to mixing and of course mastering the material. On the other hand, perhaps unexpectedly, it makes up for this in the work of assigning track names and deciding on the track order. Outside of music games and such, the music in video games generally doesn’t have any titles attached beforehand. Usually people will choose titles that fit the world of the game, and it can be quite problematic if the sense conveyed by that is different from the sense of the melody. A lot of times, people just end up simply going with “Stage 1” or something like that, though (laughs). In regards to the track order, people will most often follow the progression of the game or the story. That way listeners will be able to remember the story as they go along, recalling the most memorable scenes and developments, as the music provides a structure that follows the experience of the game. A truly great video game will empower the imagination and give far more than just a way to spend time; it will provide an experience that equals or perhaps exceeds real life experiences in terms of surprise and joy. I think it is a wonderful thing when the listener feels contentment or the music elicits feelings of bravery as a result of having those wonderful experiences brought back by listening to a CD. Chris: As you said, you pioneered recognition of game music through independent and arranged albums. Can you tell us more about the album Walküre Story FOR ORCHESTRA? Hiroyuki Kawada: Right after I received a plan from the record company to create an orchestral arrangement album based on the music and world of the Valkyrie Series (Valkyrie no Boken, Valkyrie no Densetsu) and record it overseas, the world situation took a turn for the worse and it became difficult to travel to Europe, so I remember continuing to wait for a number of years to actually have the chance to record. On the production side, the series planner and illustrator worked to reassemble the history of the Valkyrie world for the album, which featured new a new story and new illustrations. I also wrote dozens of new motifs, such as Sandra’s Theme, and compiled a symphonic poem in five acts based on them. We were finally able to carry out recording with the Slovak Philharmonic Orchestra in June 1992, and the performance took place in a grand concert hall in the baroque manner, the “Reduta,” situated near the Danube in the city of Bratislava. On the day of recording, I could hear the sounds of the orchestra rehearsing as I entered this building with such a sense of history. They were just then approaching the section with the main theme of Valkyrie no Densetsu, and my heart was overwhelmed by the beauty of the sound in that moment. The sound of that concert hall was on a different level from anything I had ever experienced. Asking about it afterwards, I learned that the sound was a result of the plaster walls which had stood for over 100 years (the building had been built in 1773). The orchestral arrangement itself was wonderful, and along with the precious experience of hearing that acoustic, it remains one of my most cherished memories. Hiroyuki Kawada: At the time, I didn’t release much of any of my work outside of my company (Namco), so this was really a rarity. To take advantage of such an opportunity, I wanted to try out something that I didn’t have much chance to do in my work, so I provided a track that was pretty atmospheric (Steady night breeze) rather than melody-driven. It’s still true today, but even when the business side of things isn’t willing to go along with it, I always have a lot of pieces of music and genres I want to create inside my head. At the time, my equipment consisted of a Macintosh IIci running the sequencer MOTU Performer, a JD-800, a DX7II-FD, an Xpander, a Prophet5, an MKS-70, and an s1100, and I made do as best as I could with that. I didn’t use a multi-track recorder, I recorded everything directly to DAT. 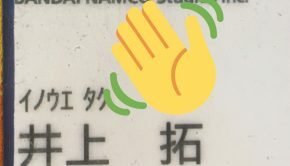 Incidentally, the liner notes don’t print my real name (I’m listed as “Hiiro Yuuki” in the album credits), so I’m wondering how people managed to discover my participation (laughs)! 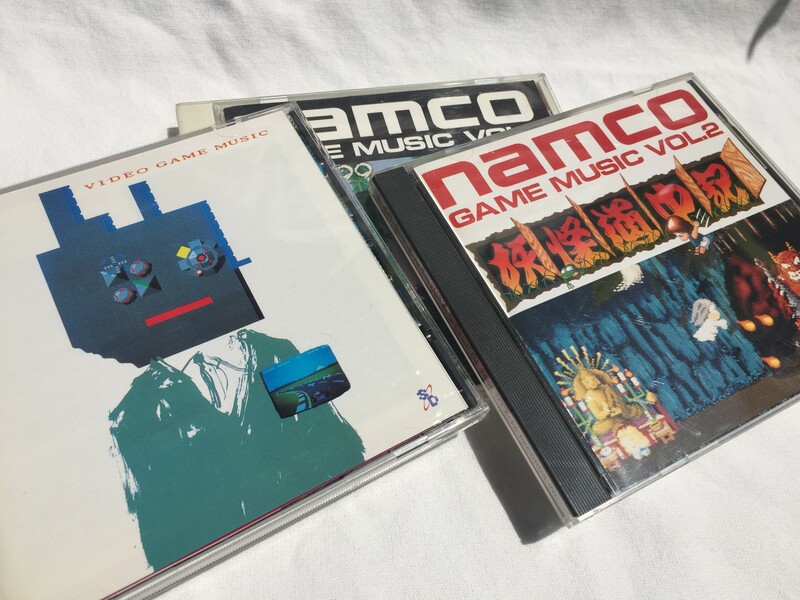 The Picture shows albums released by Alfa records, including Video Game Music and Namco Game Music Vol. 2 -Yokai Dochuki-. Chris: The online game music community are very good researchers! But one thing we remain curious about is the story behind the Wonder Eggs album you mentioned, dedicated to Namco’s theme park. Can you tell us more about it? Hiroyuki Kawada: Wonder Eggs was a theme park run by Namco from 1992-2000. As the person responsible for the sound in the theme park, all of the music production for the park was left up to me. As Wonder Eggs was an extremely concept-oriented theme park designed to perfectly recreate the same kind of stories and worlds found in Namco’s games, I worked extra hard to ensure that the music played there would, like that in the games, play its part in an enjoyable presentation. Anchored by a middle ages/renaissance flavor tinged with nostalgia, it was granted a warm reception by visitors, especially repeat visitors. This CD was released to commemorate the second anniversary of the opening of the park, and it formed part of a two album set. Music from ELDS STORY expressed the background story for the park in music, while Music from WONDER EGGS contained remakes of the music actually used in the park itself. Music from ELDS STORY is a product of a planned team effort where important motifs were divided up among and written by the sound team in advance based on the park background story, and each member would follow the story, scattering the motifs about, in the movements they wrote (called “Phases” on the album). The subject may be Wonder Eggs, but we didn’t just release a soundtrack of the music used in the park, we went so far as to produce an album of original music, which was probably a completely unique experiment among video game company sound teams at that time. Recording for the album took a little over a week in a resort studio on the outskirts of Tokyo, where I was forced to stay overnight. I remain forever grateful to the team and all who were involved for sticking with the project to the last second, even as we were taken to our physical and psychological limits. Stephen: For the remainder of the interview, we’d like to focus on your more contemporary scores released in the 1990s and beyond. Released several years after Galaga ’88, Solvalou presents a unique twist on the classics, incorporating the minimal music from the original Xevious and expanding it into an experimental, hypnotic soundscape. Could you tell us more about your inspirations for this soundtrack? 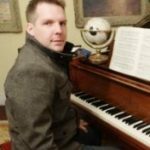 How did you go about writing and implementing the music? Hiroyuki Kawada: There’s no need for me to discuss how wonderful the effect of Xevious‘s music was, with its simple repeating sine wave phrases. I was already quite familiar with the various kinds of techno music (minimal, trance, ambient…), and especially with minimal music and ethnic music, so the it was the most natural thing in the world for me to take the phrases used in Xevious and expand their sound, give them new colors. Within that framework that seemed to fit so perfectly onto the inner machinery, I wanted players to have a special experience which would allow them to immerse themselves in the world of Solvalou while surrounded by ambient techno music. Thinking that it would make for a convenient addition to be able to make the beat swing, I added this function to the sound driver. It was truly invaluable to be able to get a danceable groove with only a single command. Getting off-topic for a second, around the time Solvalou was made was when Namco’s sound development department started using tools along the lines of Apple’s Macintosh and Digidesign’s Sound Tools (something like the predecessor to ProTools). I’m getting away from talking about the soundtrack a bit, but at that time you have to remember that I wasn’t only in charge of producing the music, but the sound effects as well. Most of the wave editing work on both musical instrument sounds and sound effects was done in a sample editor program called Alchemy. To produce hand-made sound effects, I made frequent use of a modular sequencer-like piece of software called Turbosynth. Almost like working with patches on a synthesizer, I could work freely with the various sound processing modules to create the sound I wanted from scratch, which made it the perfect tool for me personally. Getting a bit further away still, until we introduced the Macintosh, we had been using Excel to enter sequence data that we got out of a text editor. The channel data readout would be in three-character strings, so one file with 8 channels’ worth of data would be formatted in a kind of “spreadsheet” in 8 lines. We used Excel as a text editor which would easily handle the command and note information in each cell. I suppose it’s not often that you’ll meet someone who did their composing in Excel (laughs). For some reason, all of the sound staff who worked at Namco at that time are all very well versed in using Excel. The picture shows CD albums released on the i/o Label, many featured compositions or arrangements from Hiroyuki Kawada. Stephen: You went on to work on the quite experimental scores for Air Combat, Ace Driver, TeknoWerk, and Tekken. How did the composition and implementation processes for such titles compare to your classic works? Did this provide more opportunities for experimentation? Hiroyuki Kawada: Whenever I create music for a new game title, I start by looking into which techniques I will need to focus on in order to achieve the most enjoyable experience for the player. With games with presentations that don’t use much music, like Star Luster, it is also a matter of maximizing the enjoyment of the game. I will consider conventional techniques, of course, but also novel ideas. At the same time, I will always be sure to try working with a type of music that I’ve never done before. One of my big motivations is to always try to add in at least a little bit that’s new with each project that I create. With the Air Combat series I went with light crossover and rock, with the Ace Driver series it was a mixture of new jack swing, techno, rock, R&B, and so forth, while with TeknoWerk I chose classic-style techno. My taste in music has always been quite eclectic, so it’s both unavoidable and exciting that every time I’ll create worlds and music with a different flavor and a different genre. By the point I worked on Tekken 3 (PlayStation), management took up a good deal of my time, and I didn’t have much to split off for creative work. In addition to some of the in-game music, I worked on two of the endings, including their sound effects, and I particularly remember how I had to re-record the sound of Mokujin’s wife throwing a bucket at Mokujin countless times, throwing real plastic buckets in the studio late at night until I got a sound that matched the animated movement perfectly. TeknoWerk was a music game where you play the keyboard to match melodies in classic-style techno. I knew I had to make the melodies simple so that they didn’t get too technical, but along with two other techno-loving staff members, I had a great time taking that opportunity to create music using analog synthesizers (like the Prophet5, Xpander, MIDI Moog, MemoryMoog+, and MKS-80) and old school rhythm machines. One of those other two, by the way, was the planner and director for the game, even though his main job wasn’t in sound creation at all, but in component electrical systems, of all things. I also did all of the mixing for the music in the game, but I remember very well having to bring in a large prototype console into the studio and working there single-mindedly on ProTools mixdown work, holed up by myself. Stephen: In many of these roles, you made guest contributions alongside other composers. How does it feel making that guest contributions to a soundtrack? Do you feel compelled to make your work blend with others or do you aim to assert your individuality? Hiroyuki Kawada: First, at the order stage, there are always rules and requests in regards to the style of music. Creative work and limitations are always two sides of the same coin, so that isn’t really a problem at all. In my case, I will often receive a framework with general guidelines but with enough freedom to work as I want within that. Rather than tailoring my style to match that of others, I think the result will be far better if others create in their own style. When people request that I work on music for their game, I believe it is because they are expecting my style of music. My job then is to look for something that will exceed their expectations for me. Chris: More recently, you were responsible for music on the tremendously-received Pac-Man Championship Edition DX and Katamari Damacy Novita. How did approach these titles? Hiroyuki Kawada: I’ve been working with video games for a long time, and there are really very few chances to create minimal techno in game music. Most of the time, you’ll get a reaction like “What is up with this boring music! ?” and it’s rejected on the spot (laughs). So when Pac-Man Championship Edition DX came along and I was told that they actually wanted “straightforward minimal techno,” I remember how overjoyed I was to take up the assignment. The Pac-Man game itself had so little music that it’s probably surprising how much it has ended up being arranged or remixed. Strangely I didn’t suffer from any writer’s block, and I was able to create the hard, stoic-flavored track Pac Logic with ease, with an emphasis on the sound. To match each of the game modes, I created four versions of the one track (one minute, three minutes, five minutes, and ten minutes respectively), and it was a little difficult to create all of the different variations. As for Katamari Damacy, I’ve always enjoyed ethnic music from all over the world as well as lounge music, so there’s always been a part of me that’s admired exotic sounds, even before YMO brought them into wide circulation. I listened to music from artists like Les Baxter, Martin Denny, and George Shearing, among others with great fascination. The music in Yokai Dochuki was also in that vein, but with Katamari Damacy Novita I was able to make those influences the backbone of the music I created. I have also provided music for the sequel, Pac-Man Championship Edition 2, which came out on September 13 for PS4/Xbox One/Windows download. I’ve tried to create arrangements that any fan of retro games or techno is sure to love, so I hope you’re looking forward to it! Stephen: Many thanks for your time today, Hiroyuki Kawada. What can we expect from you in future? Is there anything you would like to say to your fans around the world? 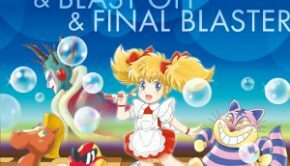 Hiroyuki Kawada: Since leaving Namco, I have continued to be involved with music creation and production work, whether in TV show ending themes or jobs for Bandai Namco Studios (such as the newly-released Pac-Man Championship Edition 2 for PS4/Xbox One/Windows download). I’ve been taking on a number of remix jobs, so perhaps you will be hearing about those soon. 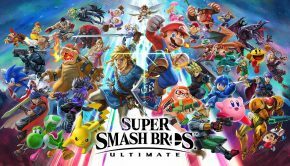 I’ve also been composing music for games like Super Smash Bros. for Nintendo 3DS/Wii U and Pokkén Tournament (Arcade/Wii U) that incorporates elements of swing jazz and ethnic new age or EDM and dubstep. Be sure to take a listen to the music I’ve been writing recently! In the future, I don’t know if it will be released as a CD or as a digital download, but I’d like to create an album; I’ve decided on a theme and I’m in the preparation phase now. I hope you look forward to it! And to all of the readers out there, my interest in where video games are going to develop and how sound in video games is going to evolve from now on has yet to wane. I only want to contribute to that development to whatever extent I can, and I hope that everyone reading this interview is looking forward to it as well. As always, everything depends on your continued support. Posted on September 25, 2016 by Chris Greening. Last modified on September 18, 2016.